Signature Ergonomic Model in Showroom! This is the first production ERGONOMIC model Signature Standup Model we've made. 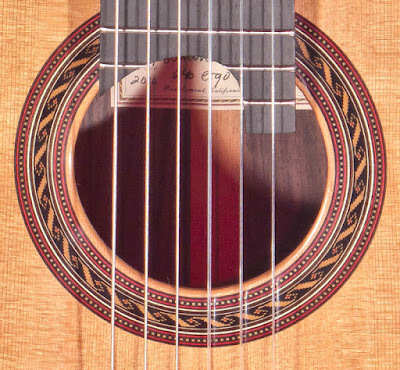 A number of ERGONOMIC features have been included in custom guitars, but now they are being offered for discerning players desiring a more comfortable instrument. The Ergonomic model is based on the Standup Wedge body design; the body depth being thicker on the treble side and thinner on the bass side makes the guitar easier to reach the strings with the right arm. The addition of the armrest makes the reach even easier and more comfortable. The subtraction of a small slice from the bass side of the upper bout in back makes the guitar sit against the chest more comfortably. 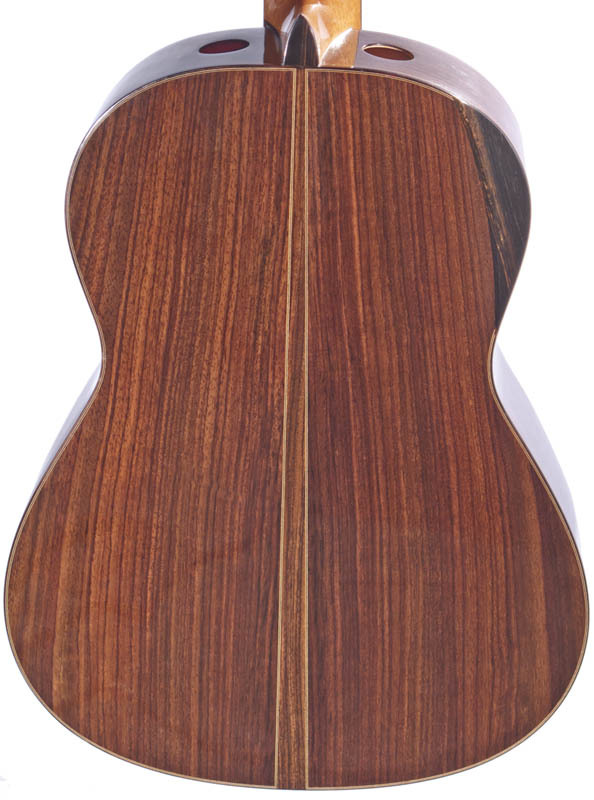 This guitar's string length is 640mm with a Western red cedar doubletop with select Indian rosewood back and sides. Looks and sounds fantastic. 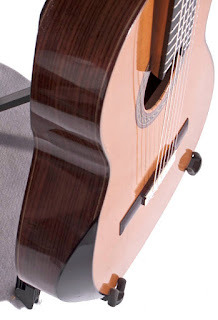 ...and, no, the armrest and chest cut, the wedge do not reduce or alter the sound negatively. Body depth: 3.5 - 4"
Carmel Guitar Society Presents: Andrew York in Concert & Masterclass! Come see Andrew York Live in Concert in Carmel, CA! 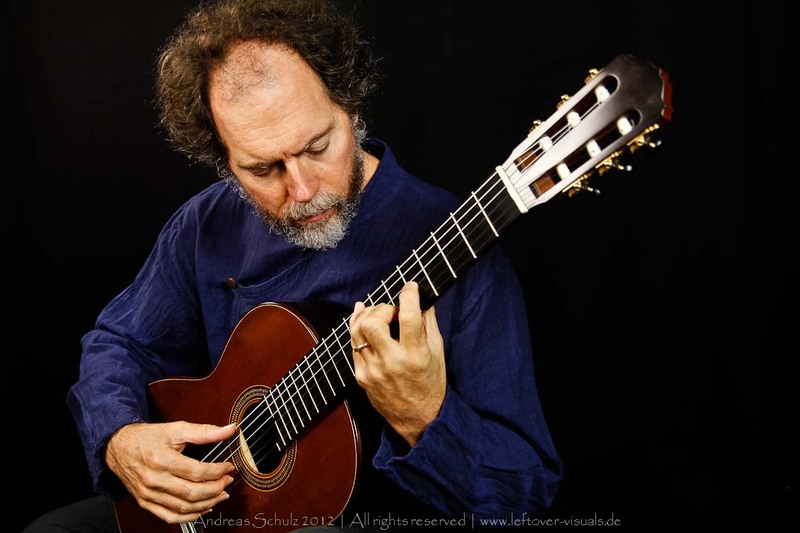 As you may know we are presenting Andrew York in concert this coming Saturday night at Hidden Valley Music in Carmel Valley, and additionally we are offering a master class on Saturday morning 10:00 AM, at the Hill Guitar showroom in Ben Lomond. There is room for an additional player in the class, or if you just want to attend please give us a call at 831-336-9317. Andy is a great composer, a fine guitarist, an excellent teacher and an interesting guy. This is an opportunity not to be missed! I hope you can come to both events. In any generation there are many musicians, but very few artists that communicate on a profound cultural level. Andrew York is one of these rare artistic voices. 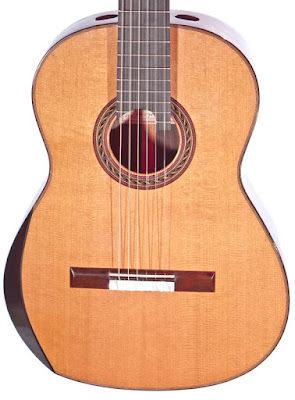 Think Picasso painting with sound as a canvas, or a Miles Davis behind the guitar. Andrew achieves a synthesis of ancient and modern forms that offers a deep cultural expression that will only be truly understood by future generations. To call Andrew's music classical is to put it into far too small a box; this is the living future of classical music.